Train hard. Stay cool. 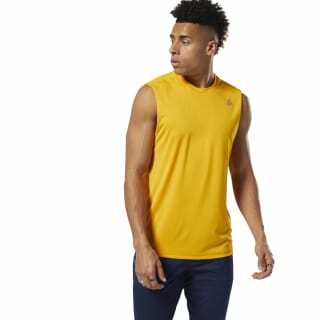 This men's sleeveless training t-shirt keeps you dry as you build up your strength at the gym. 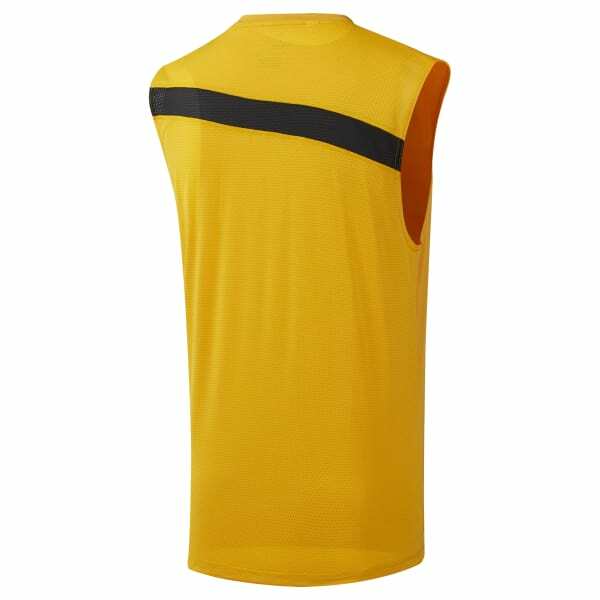 Made of sweat-wicking Speedwick fabric, the top has breathable mesh on the back for added airflow.